Students in the program have a wide variety of different funding options, some being available throughout one’s career as a graduate student, while others are only available for incoming or later-stage graduate students. These opportunities include fellowships, teaching assistantships, graduate assistantships, research assistantships, and sometimes paid internships with local organizations. 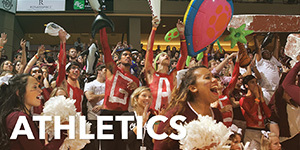 Receiving an award from CofC also makes out of state students eligible to receive in-state tuition abatements. For the incoming graduate class of 2018-2019, 100% of incoming students received some form of funding. Most of these are reserved for incoming graduate students; these are awarded by our program, and by the Graduate School. Glebe Fellowship (2): up to $2000 for an incoming student for use during their first year. Awarded by the Admissions Committee in the program. No additional application is necessary. 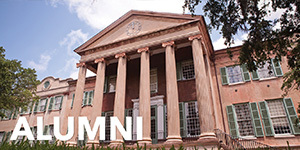 Graduate School fellowships: these are awarded to incoming students by the Graduate School, and are competitive across all graduate programs at the College of Charleston. Potential nominees for these awards will be made by the Admissions Committee of the program, and contingent upon the recommendation of the Program Director. No additional application is necessary. More information on Graduate School fellowships can be found on the Graduate School website. As described on the Graduate School Office website, students in the MES Program are considered for various assistantships. A limited number of research, staff and teaching assistantships are available annually in all graduate programs and can be awarded to students who are fully admitted, degree-seeking students. 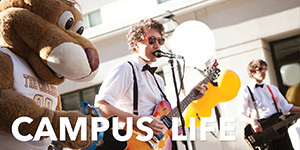 Individual programs offer graduate assistantships, as do a number of offices on campus. 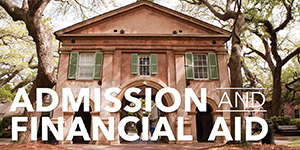 A student who is awarded an assistantship is required to carry at least the minimum course load required of a full-time graduate student at the College of Charleston (six hours of graduate coursework per semester) and must maintain a satisfactory grade point average of at least a 3.0 at The Graduate School. A student must be admitted as a degree-seeking student in order to be considered for a graduate assistantship. Graduate assistantships also carry the possibility of an abatement for out-of-state students, which means these students will pay in-state tuition. The deadline for abatement requests is July 1, prior to the start of the academic year. Full-time graduate assistantships require students to work 20 hours per week. Part-time assistantships are also be available, requiring students to work 10 hours per week. Graduate Assistantships can take various forms and may include working for the office of a department, program, or lab at the College of Charleston. The MES Program typically offers 1 full-time (20 hr) graduate assistantship and 1 part-time (10 hr) graduate assistantship per year. These two positions work closely with the MES Program Coordinator. Approximately 8 Teaching Assistantships are available per semester for graduate students. Once students are offered a TAship, they may choose to keep these assistantships throughout their graduate career, contingent on satisfactory job performance. Potential applicants need to express interest to the Program Director, who will then nominate students to the respective departments for final selection. In some cases, additional application and interviews may be required. Research Assistantships are opportunities where students are directly paid to work on their own projects, or that of their faculty advisors. All of these are competitive, but are awarded through different mechanisms. Research Assistantship I: These opportunities are found from direct contact with faculty that the student is interested in working with, and from the Program office. 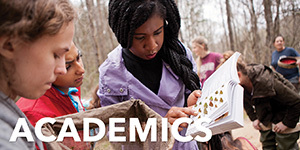 Faculty in the program often obtain external funding for research (such as from NASA, the National Park Service, and NOAA), and these funds enable faculty to pay students for completing aspects of the grant work in an “apprentice-ship” fashion. Students are therefore strongly encouraged to shape their own thesis work along the same or similar topic, as a main benefit of collaborative work is for a student to efficiently work toward their degree, under close faculty supervision. Any student can apply for this assistantship with an associated advisor. Research Assistantship II: Graduate Assistantship for student research. Two of these are available each year, and are awarded based upon the merit of a student’s research proposal. Students who receive the assistantship will receive up to $13,000 over two consecutive semesters. An additional $600 is also allocated to the faculty advisor of the project. Most of the time, these are awarded to second-year graduate students, with the expectation that they have an approved research proposal at the start of the support. The funding support is for two semesters total, such as Fall/Spring or Spring/Summer. The 2018-2019 call for proposals deadline for May 15, 2018. Information for 2019-2020 proposals will be available soon. Application deadlines are: Summer, April 1; Fall, July 1; Spring, November 1. There are a wide variety of funding opportunities for graduate students from local organizations (governmental and non-governmental); many of these opportunities are advertised from within our program. Some are available as summer-only work, while others are available during the academic year. Once accepted into the program, students should monitor emails and other communication from the Program office to learn of these opportunities. NASA Graduate Fellowships: current list of open fellowships can be found on NASA's website. Lindstedt Trust Award (usually $1300) and the Environmental Protection Agency Fellowship (usually $1000): The Lindstedt and EPA fellowships are awarded through a competitive application which considers the academic record and a response essay. Applicants must either be accepted into, or matriculated in, the MES program and should be in excellent academic standing. All applicants must submit an essay describing what they hope to accomplish in the environmental field once they have completed their degree. All submissions must be in the MES program office no later than March 1. Dr. Nancy Foster Scholarship Program: Administered by the National Oceanic and Atmospheric Administration, the Dr. Nancy Foster Scholarship Program recognizes outstanding scholarship and encourages independent graduate level research - particularly by female and minority students - in oceanography, marine biology and maritime archaeology. For more information, please visit this website. SC Sea Grant is required to take leadership for submissions under opportunities 1 and 2. They are, of course, willing to be involved in proposals to the National Sea Grant Office under opportunity 3 if their participation could be of benefit. The Collaborative Program and New Opportunities calls require Sea Grant Program leadership and submission. Neither of these calls is intended to support a single, discrete research project. As outlined in the FFOs, they are intended to be broader projects that may involve research, but also require industry involvement, outreach and extension components, and increase the capacity of the South Carolina Sea Grant Consortium to support ongoing and future research, extension, and science communication activities related to aquaculture. Please review the FFOs, and think about topic areas and how you may want to be involved. Please contact Rick DeVoe or Susannah Sheldon with programmatic questions or Ryan Bradley with administrative and financial questions at (843) 953-2078. 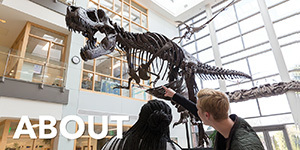 Each year the MES Program provides some financial support (up to $500 per student) to assist with student research and to provide funding for students who participate in field-related conferences, a vital component in the professional development of graduate students. Available funding is awarded on a first come, first serve basis, with priority given to students who receive Graduate Research and Presentation Grants from the Graduate School Office. Students seeking MES Program funding should complete the Graduate School Office Application for Internal Support, and provide a copy of that application to the MES Program Director. Student applicants must be degree-seeking students in good standing in a College of Charleston graduate program. A separate budget indicating how the money will be used must also be attached. Students should indicate if they have applied for or been awarded support from some other source. Recipients will be encouraged to present their research results at a Graduate Research Seminar or Poster Session. Applications must include a presentation description (maximum length 500 words) containing a project abstract, an explanation of the presentation format (e.g., poster session, panel presentation), a description of the presentation venue (e.g., international conference, annual meeting), and a confirmation that the presentation has been accepted (or submitted). A separate budget, breaking down costs for transportation, food, accommodation, and registration fees should be attached. Students should also indicate if they have applied for or been awarded support from some other source. Applicants with projects involving animal or human participants must also complete the required protocol applications for the Institutional Review Board (IRB) and the Institutional Animal Care and Use Committee (IACUC). Students who receive grant awards must also complete a Final Report upon completion of the project. MESSA offers a small amount of funding for students in need of research or travel assistance. Awards are disbursed as a reimbursement following the research or travel event. MESSA is in the process of creating an official Research and Travel Grant Application, however current applicants should follow application guidelines outlined in the GSA Research and Travel Grant Application. The Graduate Student Association (GSA) at the College of Charleston awards grants of up to $500 per student per academic year to be used toward conducting or disseminating research done as part of a student’s thesis or capstone project. Grant awards may be used towards travel expenses, including airfare, gas, accommodations, and conference/meeting registration fees, or for research needs, such as materials or sample analysis directly related to a thesis or capstone projects. Visit the GSA Research and Travel Grants page for more information and to apply.